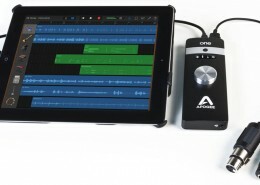 iPad and iPhone compatible. 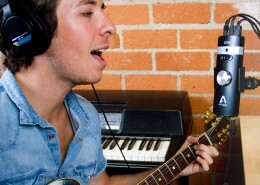 Kit sold separately. 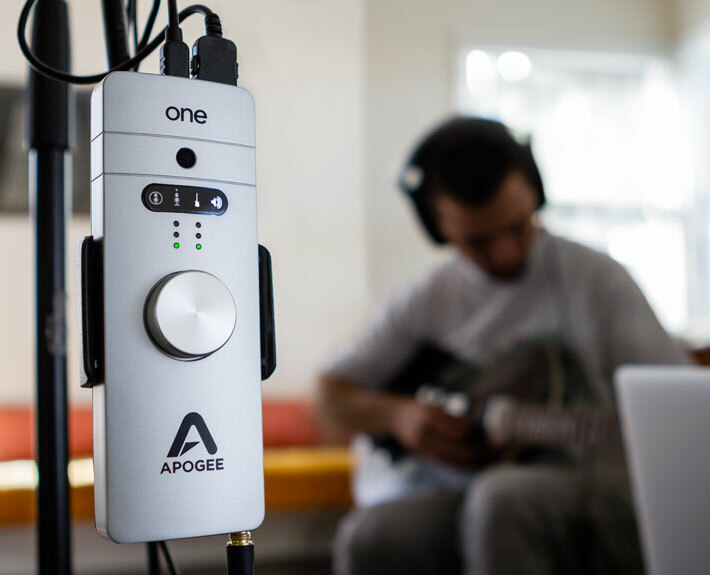 Apogee ONE is an all-in-one portable, USB audio interface that gives you everything you need to make professional recordings on the go. 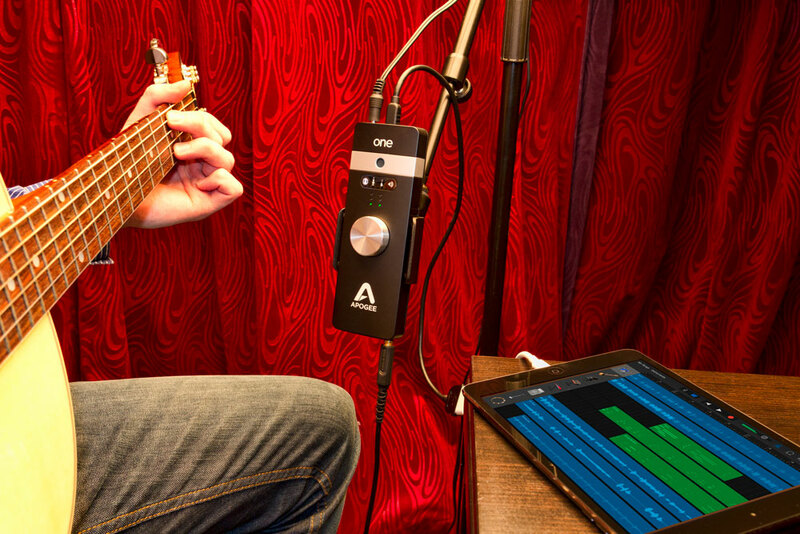 Connect a microphone, guitar or use ONE’s exceptional built-in omnidirectional microphone to easily capture your music without compromise. 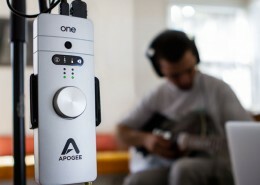 ONE even lets you record with a microphone (built-in or external) and guitar simultaneously. 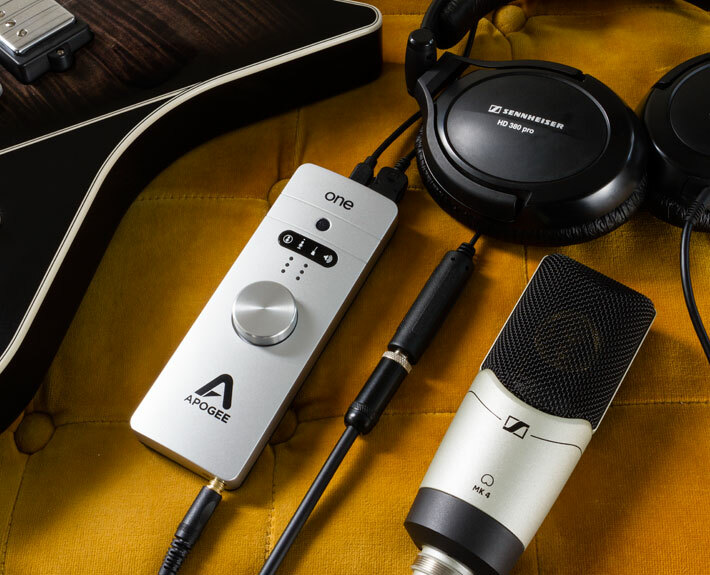 Using Apogee’s industry-leading AD/DA conversion and mic preamp technology, ONE produces pristine music, podcast, and voice-over recordings while also delivering studio quality sound to your headphones for precision mixing or hi-fi listening. 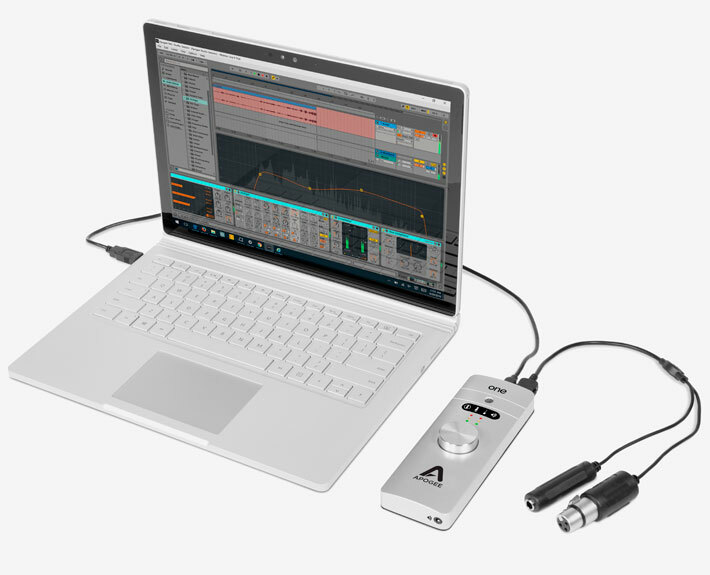 With an intuitive controller knob and seamless compatibility with macOS and Windows, ONE is easy for anyone to use. 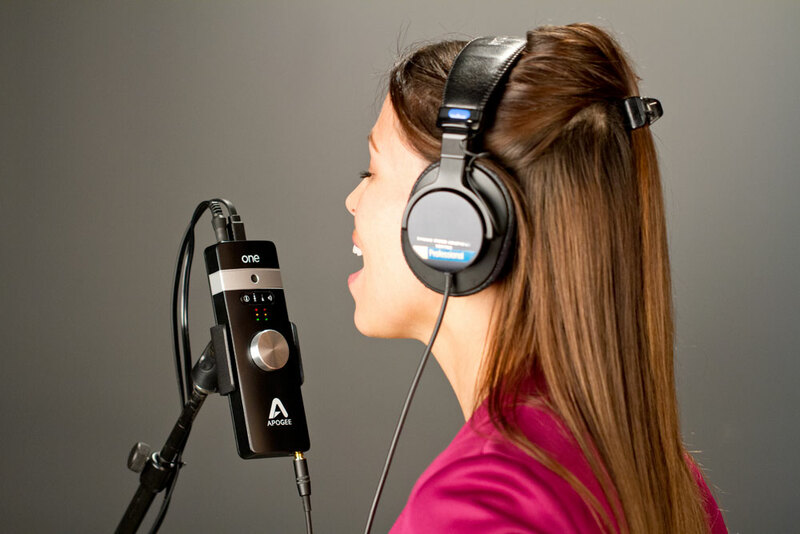 Apogee is an award-winning industry leader in digital recording technology with over 30 years of experience. 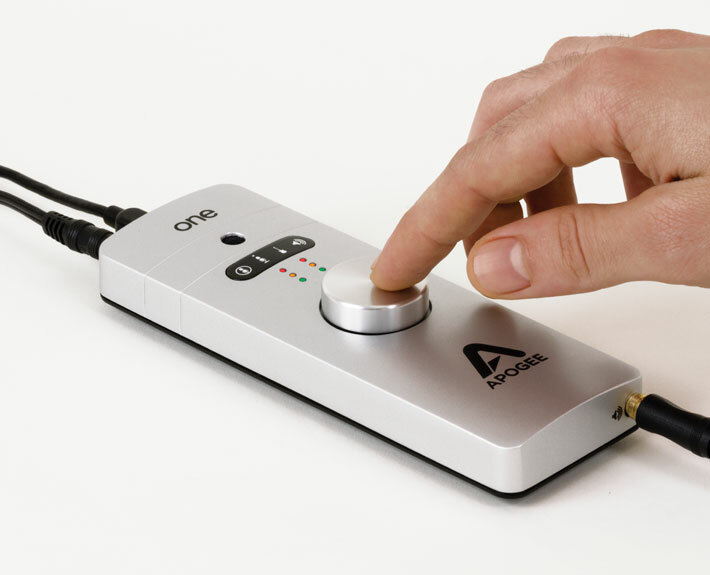 Preferred by recording pros around the world, Apogee products like ONE, Duet, Quartet, Ensemble and Symphony I/O have been instrumental in creating countless GRAMMY® and OSCAR® winning recordings and have set the industry standard in professional recording for over two decades. 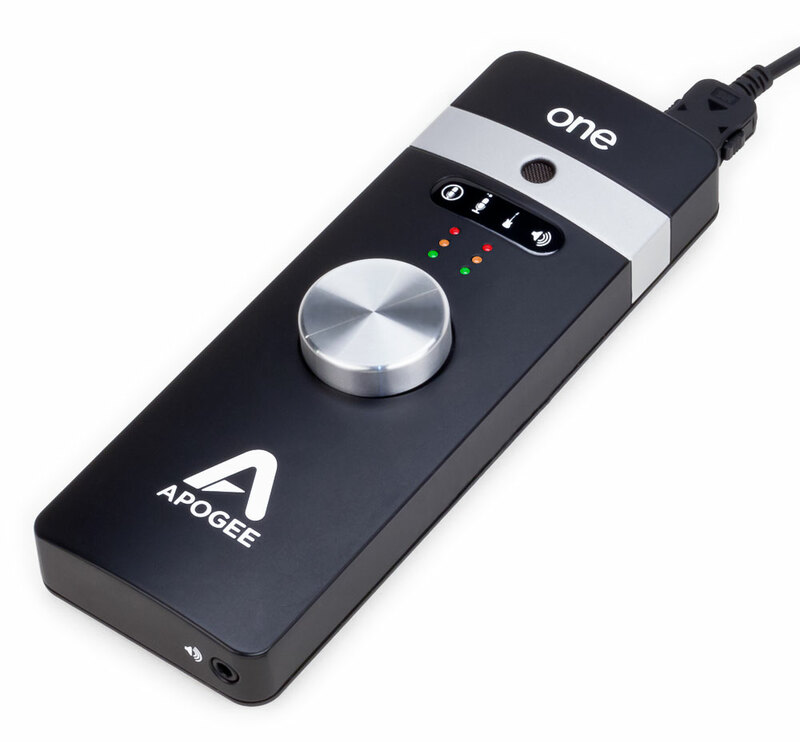 ONE makes the legendary quality of Apogee’s mic preamps, AD/DA converters and clocking available in a portable form factor and at a great price. 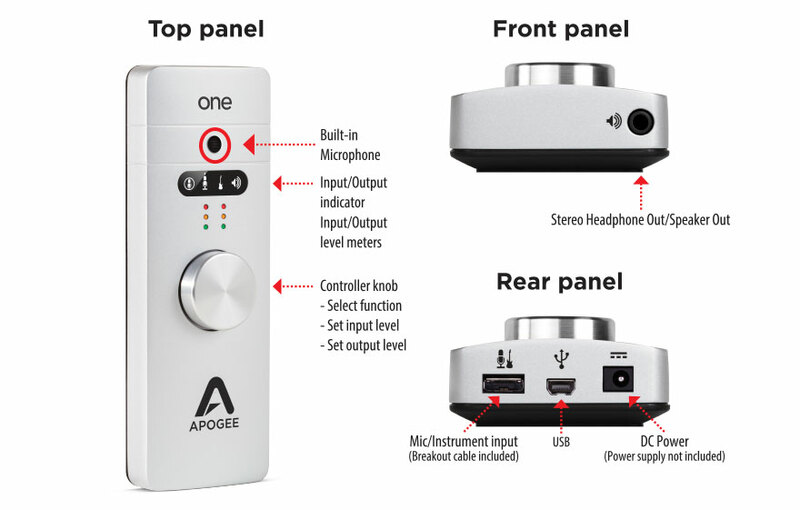 With components carefully selected in critical listening tests and a highly efficient circuit design, ONE was built by Apogee engineers to make a difference you can hear. 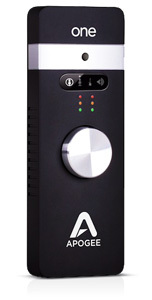 ONE’s AD/DA converters are designed to deliver the purest recordings and best listening experience possible. 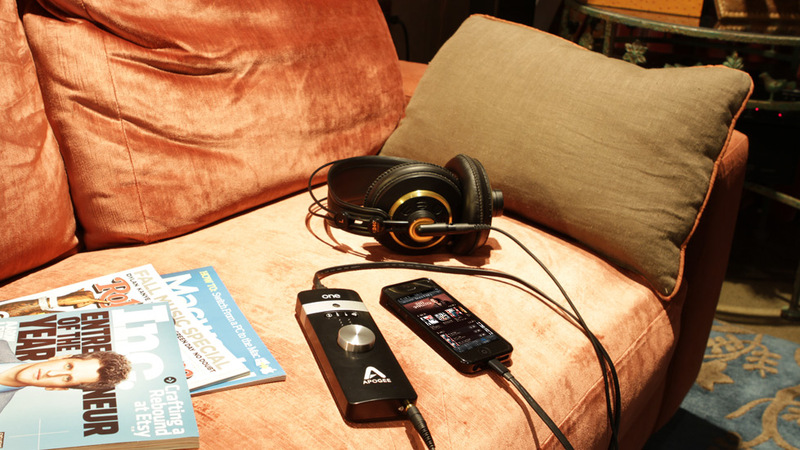 ONE’s efficient circuitry and state-of-the-art components provide a simplified signal path resulting in incredibly transparent recordings. 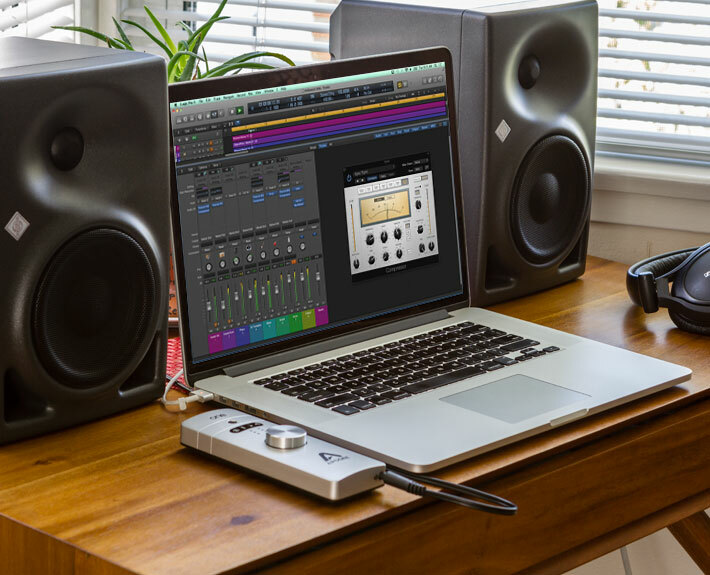 ONE features a microphone preamp with seamless click-free transitions as the gain increases and decreases throughout the incredible gain range of 0 to 62 dB. 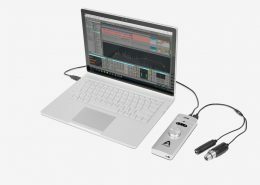 This unprecedented feature allows you to dial in the perfect level, either with the controller knob or from within software, while delivering ultra-low noise and smooth, crisp detail. 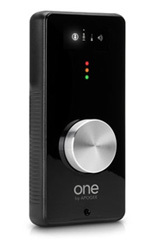 ONE’s mic pres are suitable for all dynamic, condenser or ribbon microphones, allowing you to capture any sound without compromise. 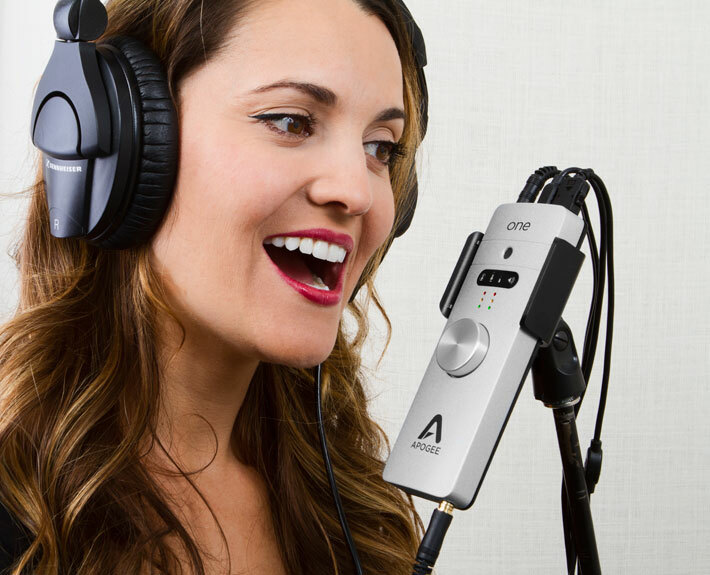 ONE features a built-in studio quality condensor microphone that makes it easy to quickly capture song ideas, vocals, podcasts and interviews. 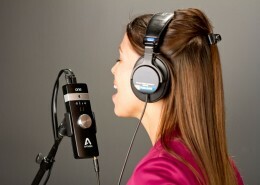 With the included mic clip you can position ONE perfectly on your microphone stand to capture any sound. 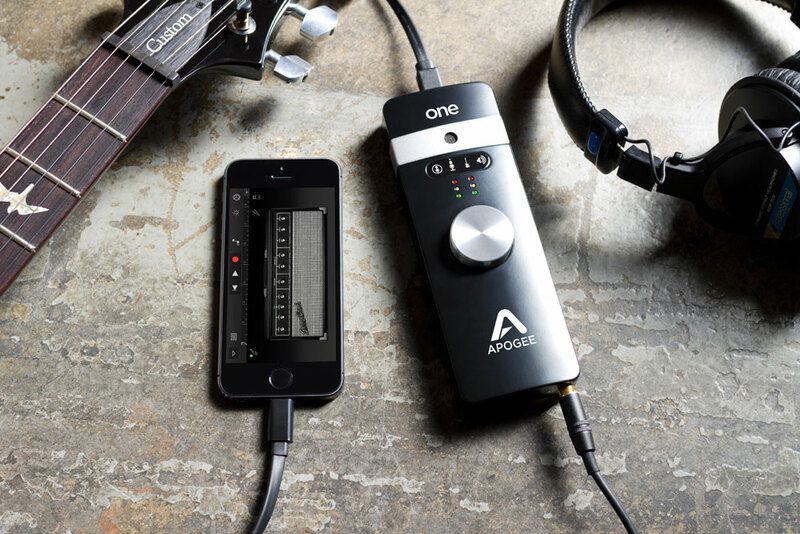 ONE’s breakout cable lets you connect a microphone to the XLR input and an electric guitar, bass or acoustic guitar with pickup to the 1/4” instrument input. With up to two simultaneous channels of recording (instrument + built-in or external mic) and Apogee’s premium A/D conversion and mic preamp technology, you can make professional recordings anywhere with ONE. 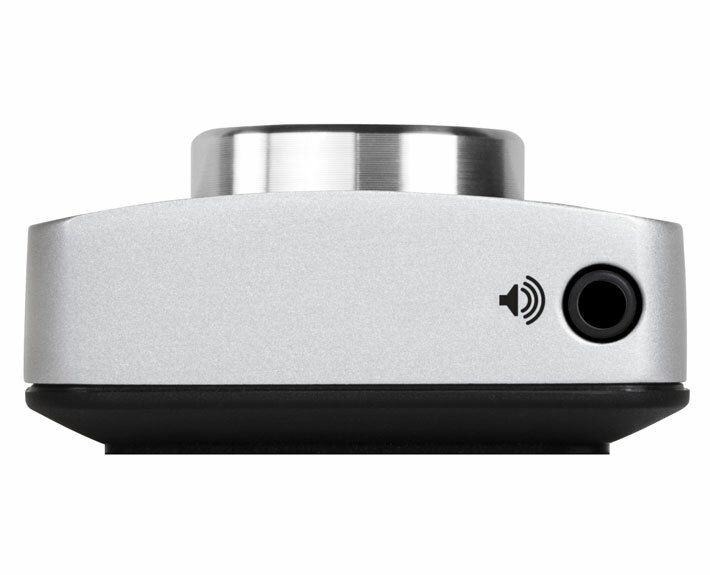 ONE’s stereo output delivers audiophile quality sound from your Mac to your headphones or speakers. 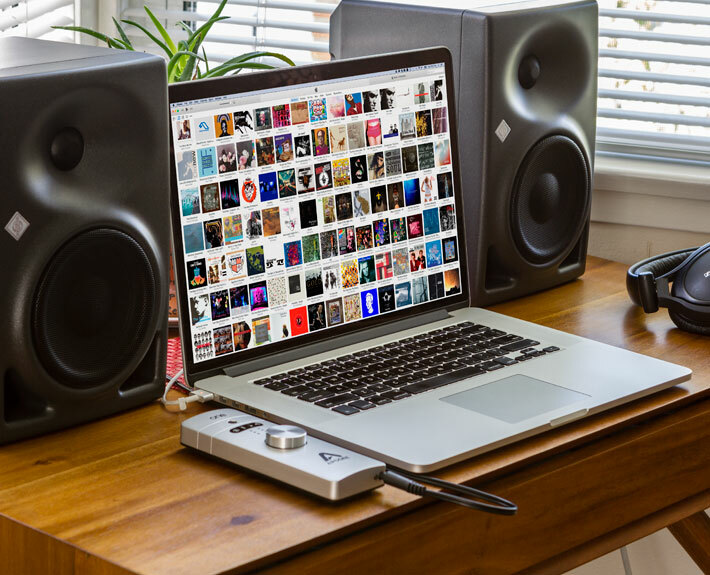 With ONE’s premium D/A conversion you will hear every subtle detail of your music like never before, allowing you to create better mixes and enjoy your iTunes library even more. 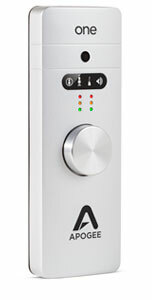 Access all control functions and settings with Maestro, Apogee’s comprehensive software control application. 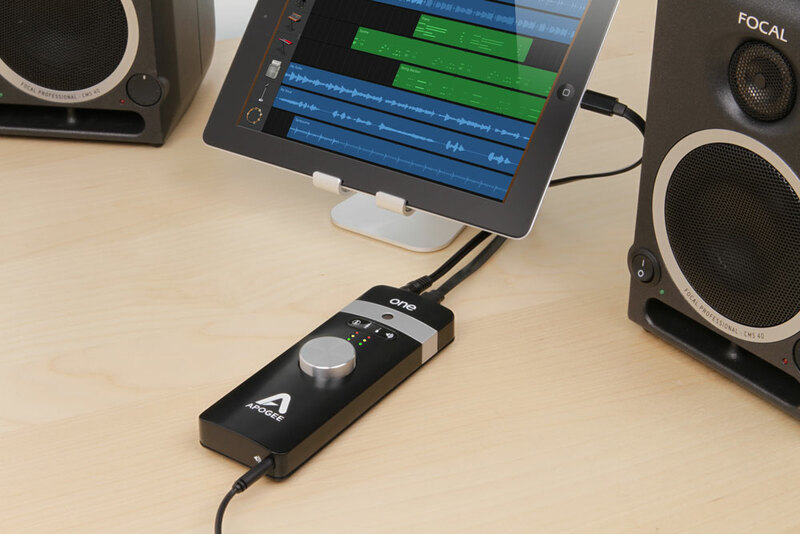 Maestro features a single window interface with quick access to all Apogee device settings. Select your input type and use the mixer for low latency monitoring. 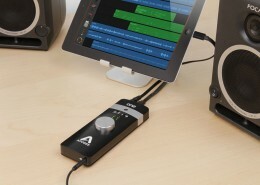 Maestro lets you easily configure your Apogee interface to fit your workflow. 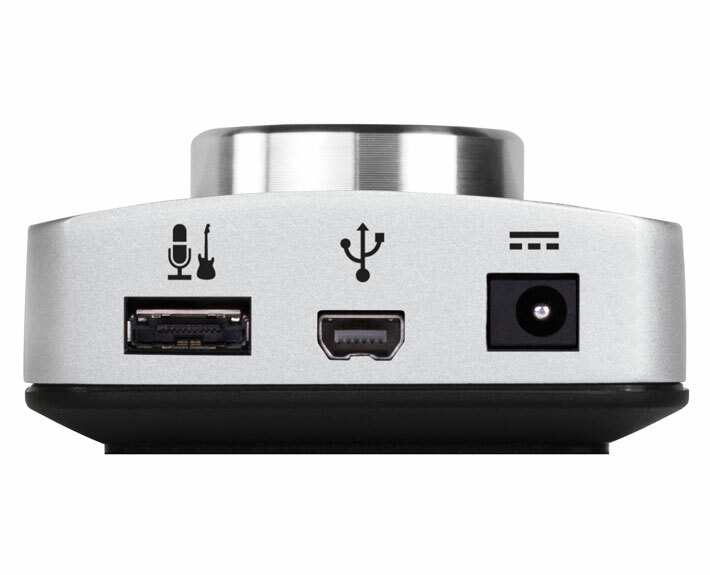 Maestro is included in the ONE software installer for Mac/PC. 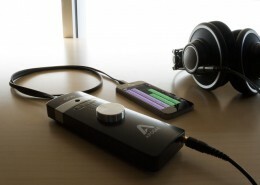 If you’re connecting ONE to an iPhone or iPad (iOS connectivity kit sold separately), Maestro is available for free from the App store. 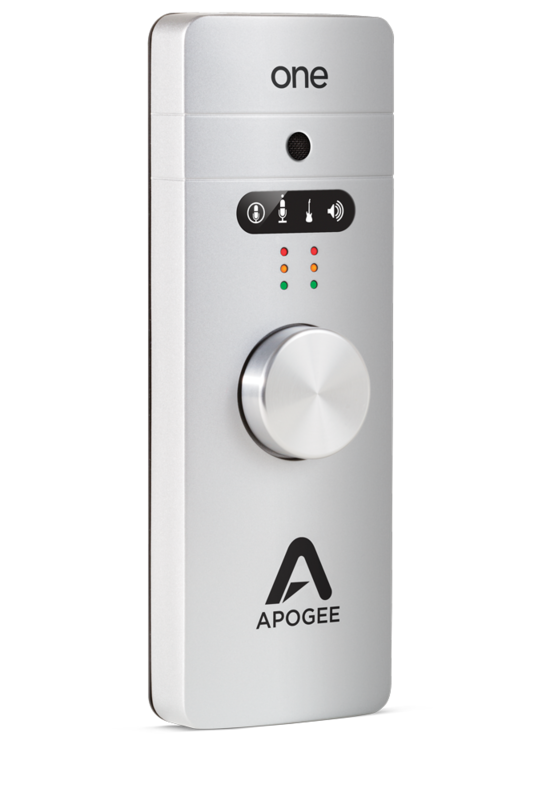 If you are using an Apogee interface, you can adjust hardware input parameters directly from the Mixer view in Logic Pro X, including mic pre gain, input type selection, 48V phantom power and more. 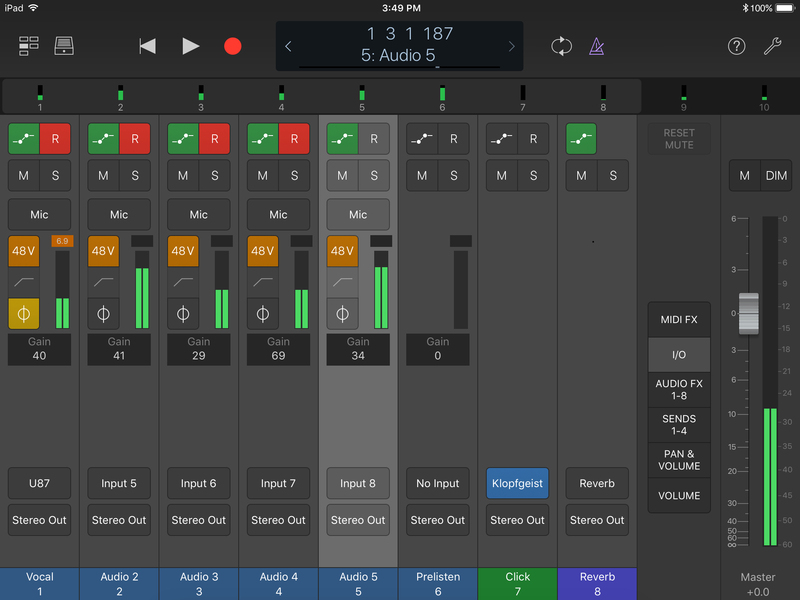 This simplified user experience helps you focus on a single session window when recording, and offers comprehensive visibility and control of input parameters. 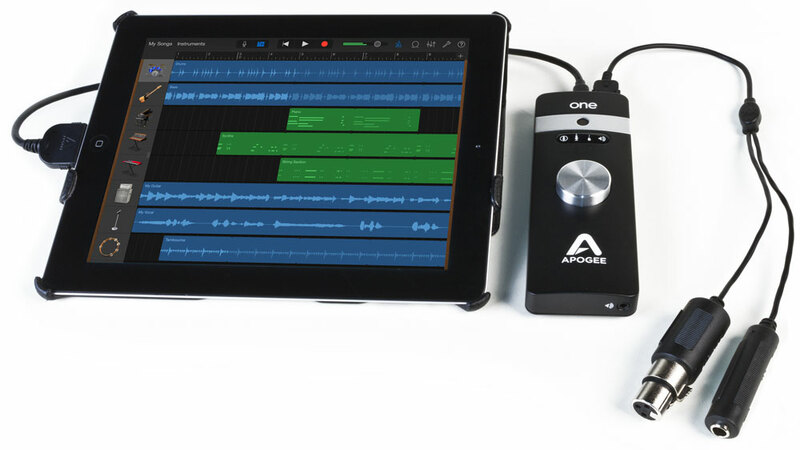 Apogee hardware input controls are also accessible through the Logic Remote App on iPhone or iPad, enabling Apogee users to wirelessly adjust their input levels and settings from anywhere in the studio. 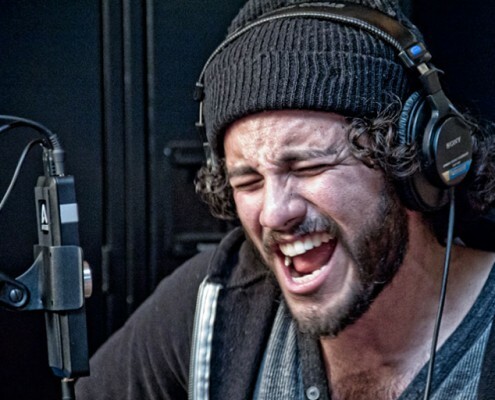 Drummers can adjust mic pres without having to get up from behind the kit, engineers can do a line check while still setting up mics, and home musicians recording themselves can switch between a microphone and directly connected instrument without having to be in front of their computers. 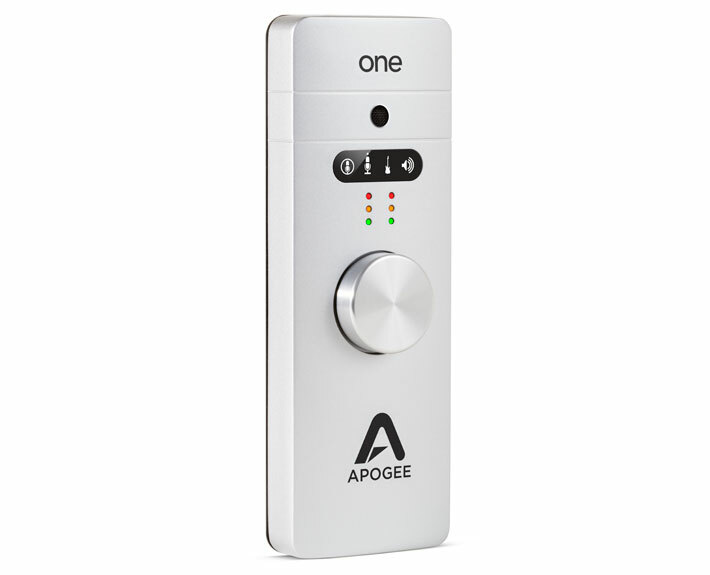 Recent Projects: Of Mice and Men "I love my Apogee ONE! 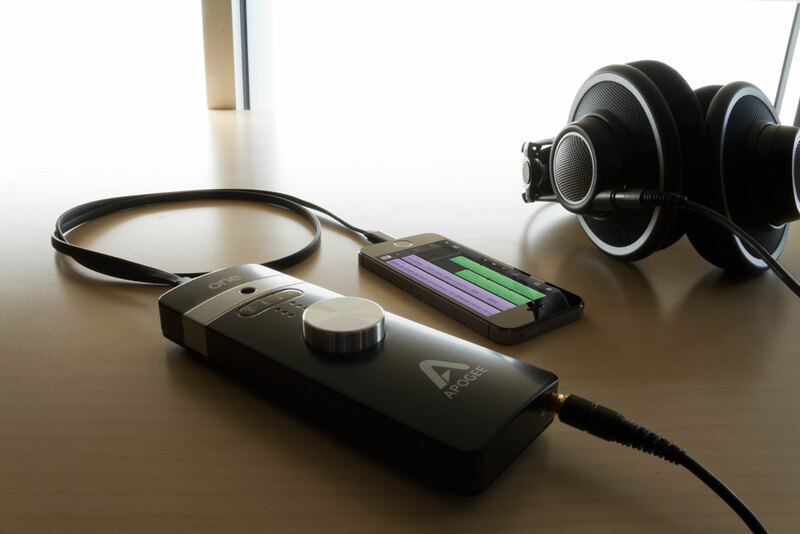 We're constantly writing new material on tour and finding an interface that is not only compact but also durable AND delivers a great sound can be quite difficult. 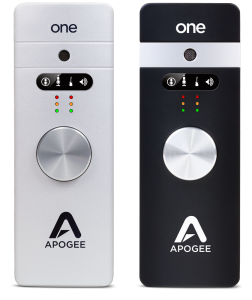 The Apogee ONE is the perfect solution. 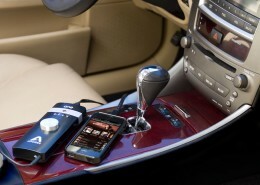 Plus the control knob is pretty handy!" 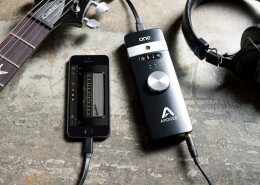 Recent Projects: Confluence and Amalgam "I bring my Apogee ONE with me whenever I go out on tour with John Mayer, and it's helped me finish two distinctly different solo records in the process. 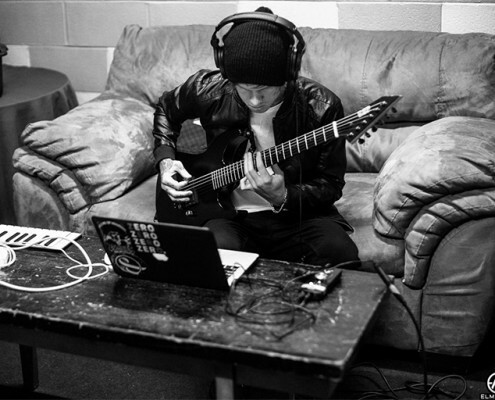 The fact that it's so compact is an added bonus for the touring lifestyle - I would have brought this puppy in a rack unit if that's what it took!" 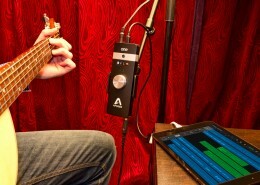 "We would recommend it to singer-songwriters or other artists that need to record two channels... 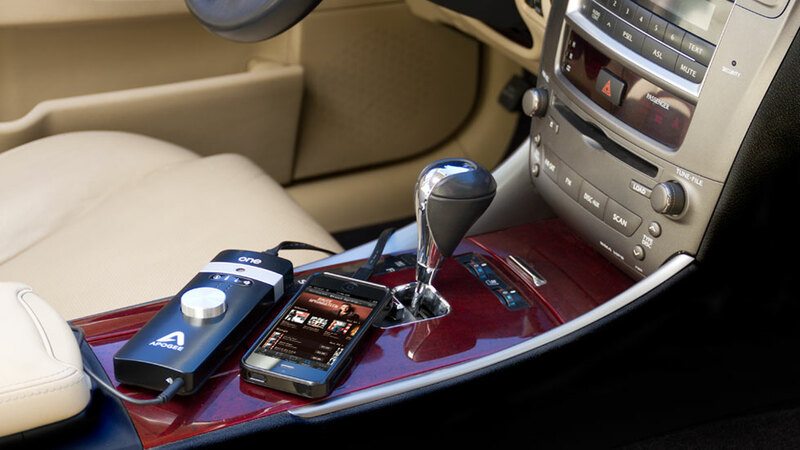 It's a device that can be used in multiple ways perfectly on the road. 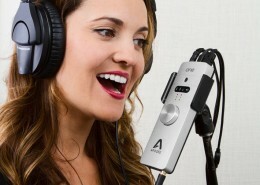 Also, price-wise it’s a very interesting audio interface to have!" 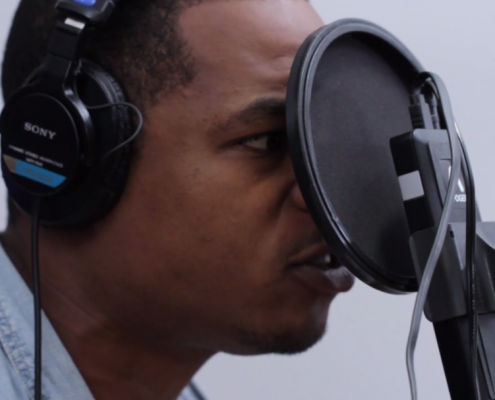 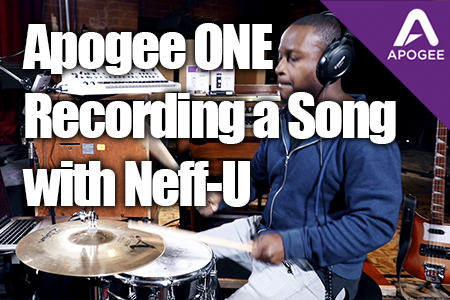 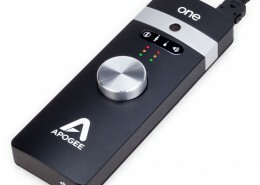 "The Apogee ONE is a serious recording tool that’s small enough to bring anywhere. 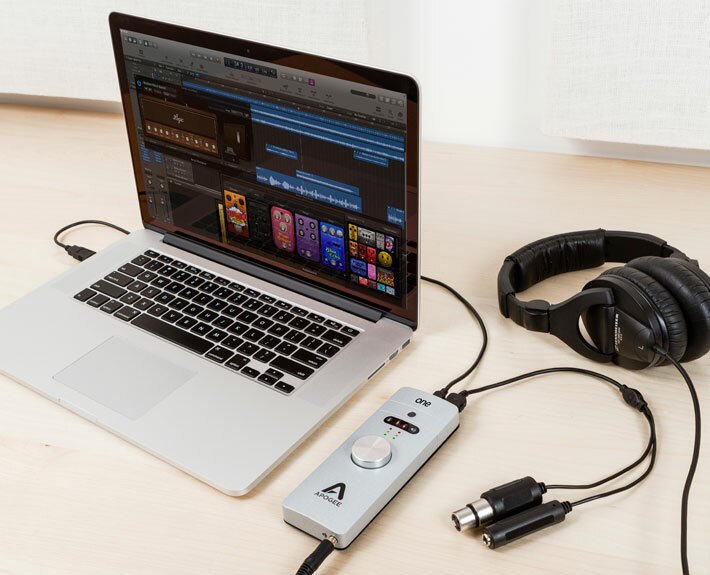 If audio quality is not something you’re willing to budge on and you want to be very portable, then this is the interface for you." 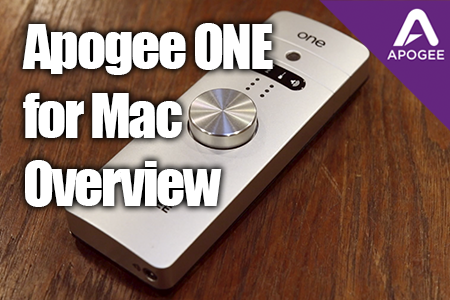 "The sound from the ONE is absolutely stunning. 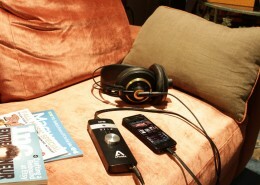 It has no trouble driving the headphones well beyond my comfort level, doing so with plenty of headroom to spare. 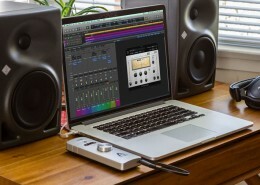 The ONE has a, dare I say it, ruler-flat response. 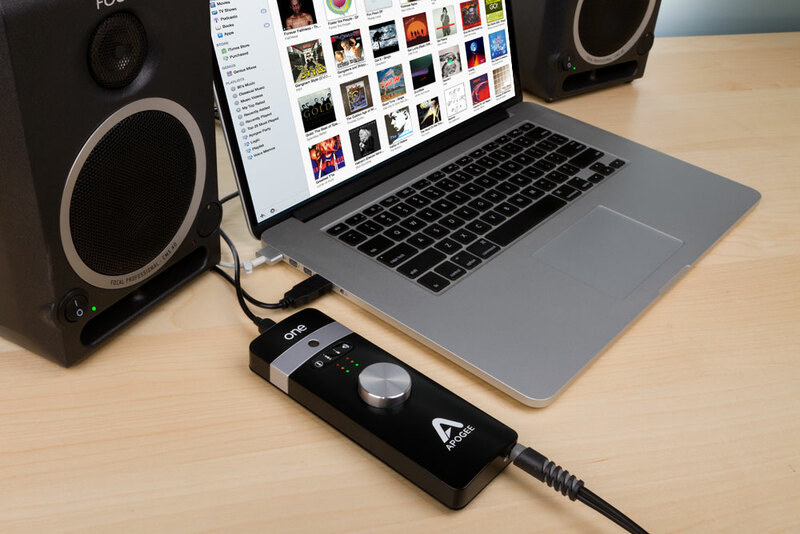 Its performance is on par with some desktop DAC/amps that are many times more expensive...With the help of the ONE, I can listen to high-quality music files from my iPad - and it sounds great. 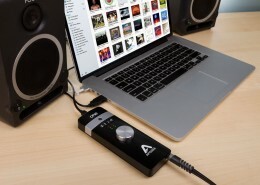 It's a no-brainer for audiophiles who travel a lot and don't want to lug around their MacBook. 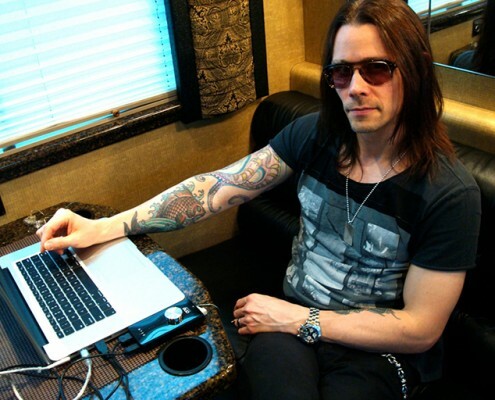 Not a road warrior? 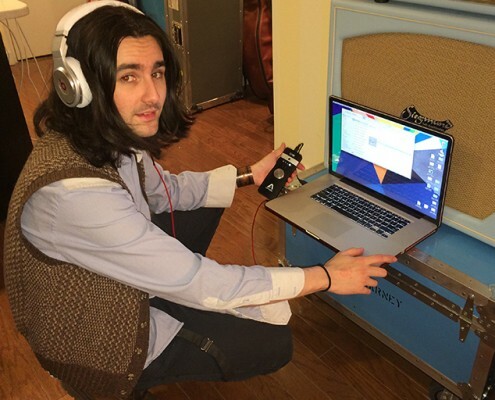 Not a problem. 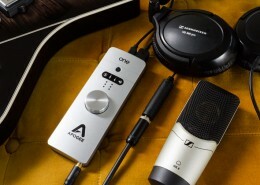 The ONE also works great as an audio engine for a clean and simple rig on your bedroom nightstand - or anywhere."